The beautiful Grosvenor Traditional 3 seater fabric sofa in Blue with Silver Scatters brings timeless style to your living room. The gently flared arms create a modern silhouette and provide supreme comfort, making this sofa the idea place to wind down and relax at home. Built with the finest solid hardwood incorporated into the frame, the unique construction methods ensure durability and lasting quality. 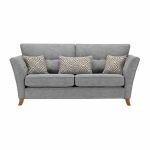 The sumptuous dual foam seating cushions are complemented with the striking geometric scatter cushions, which give the sofa a contemporary edge. Completed with smart solid oak feet, this eye-catching sofa is designed to look good in modern and traditional living spaces alike. 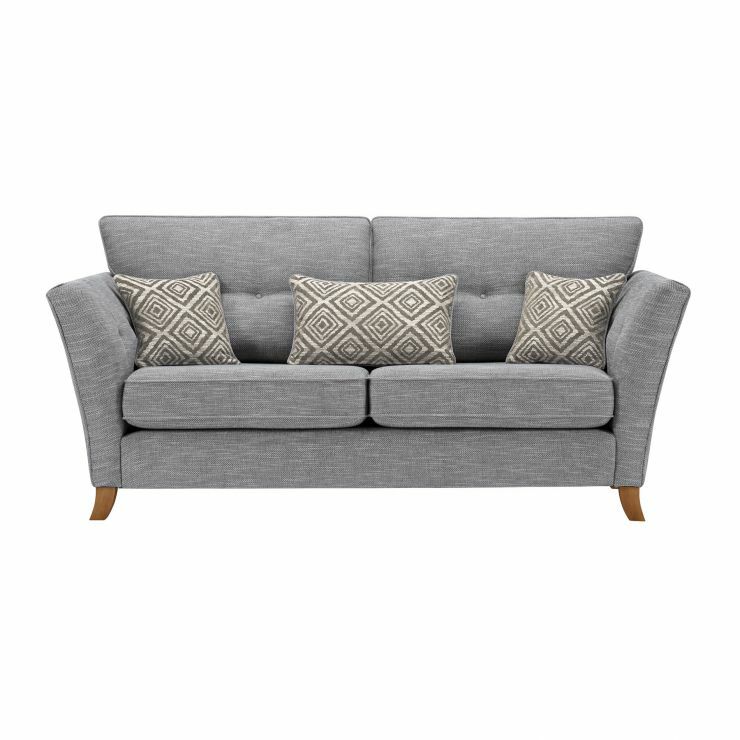 Browse the entire Grosvenor Traditional range and discover stunning pieces to complement your sofa.